Sound and movement transform this classic Willow Tree angle into a spinning, musical masterpiece. Our "A Tree a Prayer" angel is affixed to a round hand-painted base that rotates while playing the beloved hymn "Amazing Grace." Musical and rotating elements activated by a turn key under the base. 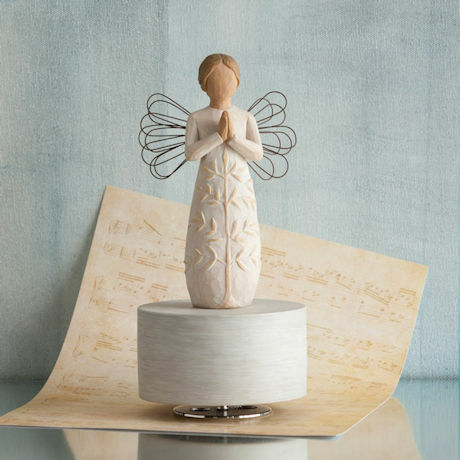 Angel molded in durable resin with stainless steel, metal, and plastic components. Measures 7.5" high.